With a growing number of young Americans graduating into careers that will engage them with colleagues in Asia, the Freeman Foundation seeks to assist colleges and universities in expanding opportunities for U.S. students to work as interns in East and Southeast Asia*, as part of their undergraduate or graduate studies. The Freeman Foundation’s major objectives include strengthening the bonds of friendship between the United States and countries of East and Southeast Asia. Through education and educational exchanges, the Foundation hopes to develop a greater appreciation of Asian cultures, histories and economies in the United States and a better understanding of the American people and of American institutions and purposes by the peoples of Asia. The UO has been awarded a grant from the Freeman Foundation to award and administer these internship fellowships, which will provide stipends to UO student interns to offset travel and living expenses overseas. Fellowships of up to $5,000 are available. Award amounts will depend on the length of the internship, location, budget, and other internship support. Internships must be at least 8 weeks in length to be considered for a Freeman Fellowship. Following their return to UO, all awardees will be required to share their experiences and lessons learned with other students through presentations, mentoring, and/or publications. Please click on the following link to submit the online application. Please have all of your materials ready before you start the online application. Your answers will not be saved until you submit the full application. *If the deadline falls on a weekend or holiday, please turn in your application materials by 12 pm on the following work day. For more information about the new UO GlobalWorks Internship Program, please visit https://gsi.uoregon.edu/globalworks. For more information about IE3 Global Internships, please visit http://ie3global.org/school/university-of-oregon/. 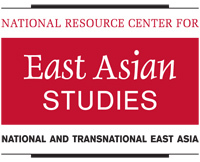 The Center for Asian and Pacific Studies is offering awards of up to $500 in support of the professional activities of UO graduate students studying Asia. Awards will be made for the following purposes: travel to conferences to present papers, travel to library, museum, and archival collections; and expenses related to book and article production and publication. Your application should state that you have first tried to secure funds from your department. To submit a proposal, please click here to complete the online application form. A brief letter of support from your advisor explaining how this activity is central to your research interests is also required. This letter can be emailed directly to Holly Lakey at lakey@uoregon.edu. Awards must be used within one year of the date of the award. Applicants may apply for a CAPS Small Grant before they’ve been accepted to a conference, though their award will be continent upon acceptance confirmation. No retroactive awards can be made. Successful applicants are asked, after the award has been used, to write a brief letter to CAPS reporting on the completion of the relevant project. For a hardcopy version of the application form, please contact Holly Lakey at lakey@uoregon.edu. The grant is to be used for the reproduction of articles and the purchase of books for group use; it may also be put toward the invitation of speakers. At the end of the academic year, the coordinator of the group is required to submit to CAPS a report on the group’s activities. Applications (including an explanation of the focus of the group and a list of members) are due on November 15, 2019. To submit a proposal, please click here to complete the online application form. For a hardcopy version of the application form, please contact Holly Lakey at lakey@uoregon.edu. The Center for Asian and Pacific Studies is offering awards of up to $500 in support of the professional activities of its faculty. Awards will be made for the following purposes: travel to conferences to present papers (once funds from the faculty member’s department have been exhausted), travel to library, museum, and archival collections; and expenses related to book and article production and publication. To submit a proposal, please click here to complete the online application form. Awards must be used within one year of the date of the award. Applicants may apply for a CAPS Small Grant before they’ve been accepted to a conference, though their award will be continent upon acceptance confirmation. No retroactive awards can be made. Successful applicants are asked, after the award has been used, to write a brief letter to CAPS reporting on the completion of the relevant project. The Center for Asian and Pacific Studies is accepting proposals from UO faculty for speakers to visit the UO and deliver a public lecture on campus. These guests will be part of the Jeremiah Lecture Series, administered by the Center for Asian and Pacific Studies. We have funds to pay most expenses associated with the lecture, including honorarium, travel, publicity, reception, etc. Applicants are encouraged to include possible cosponsors in their applications. The visitors must lecture on a topic related to Asia and/or the Pacific and be relevant to a public audience.